An older Neandertal from about 50,000 years ago, who had suffered multiple injuries and other degenerations, became deaf and must have relied on the help of others to avoid prey and survive well into his 40s, indicates a new analysis published Oct. 20 in the online journal PLoS ONE. "More than his loss of a forearm, bad limp and other injuries, his deafness would have made him easy prey for the ubiquitous carnivores in his environment and dependent on other members of his social group for survival," said Erik Trinkaus, study co-author and professor of anthropology in Arts & Sciences at Washington University in St. Louis. 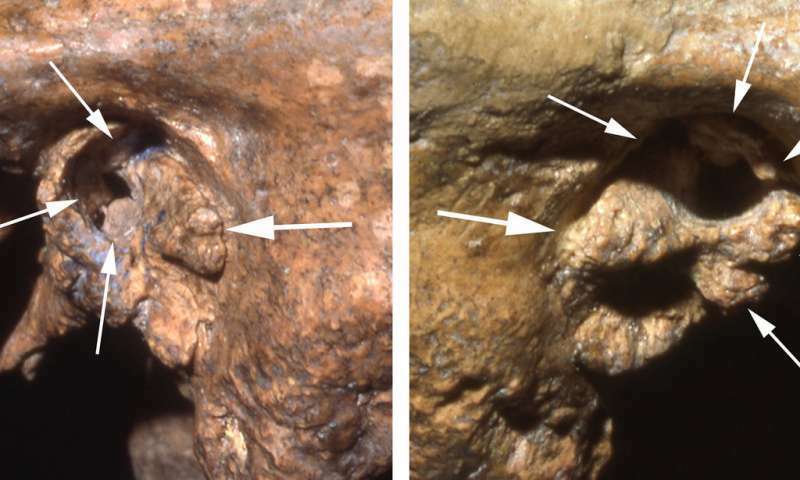 In a new analysis of the remains, Trinkaus and Sébastien Villotte of the French National Centre for Scientific Research confirm that bony growths in Shanidar 1's ear canals would have produced profound hearing loss. In addition to his other debilitations, this sensory deprivation would have made him highly vulnerable in his Pleistocene context. 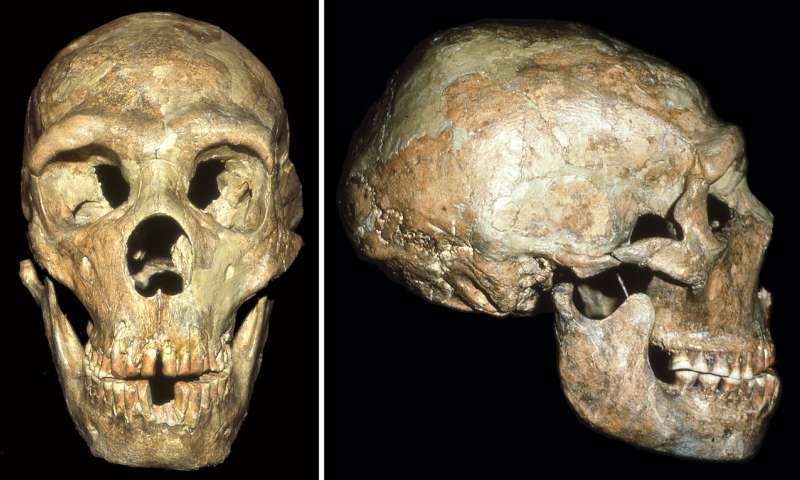 "The debilities of Shanidar 1, and especially his hearing loss, thereby reinforce the basic humanity of these much maligned archaic humans, the Neandertals," said Trinkaus, the Mary Tileston Hemenway Professor. First an idiot pronounced it neandertal in a documentary (spelled Neanderthal) and now idiots started spelling it that way. Encino Man is happening.